Schwarz is a producer and DJ from St. Louis, now residing in Baltimore. 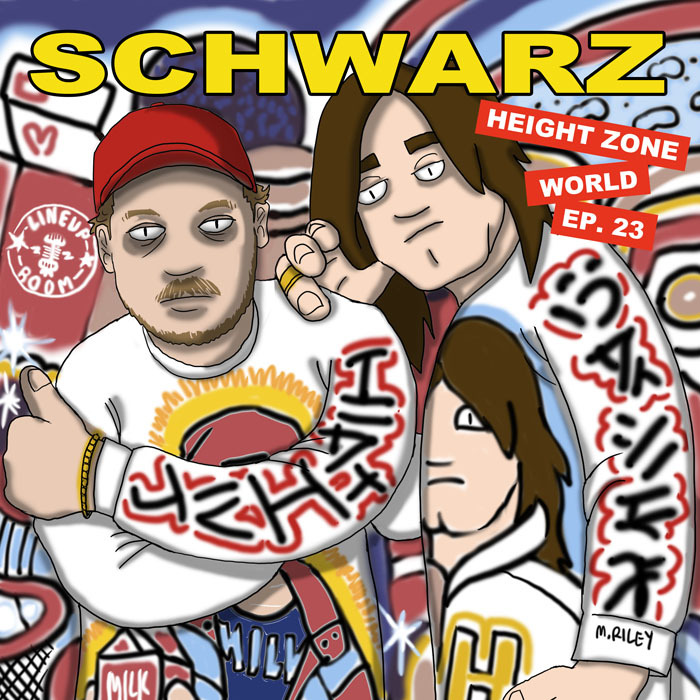 Schwarz has worked with La Chat, DDM, Abdu Ali, Juiceboxxx, TT The Artist, Kyle Mabson and many more. For many years, he helped run the Deep In The Game night at Baltimore’s Hippodrome, with Cex and Mark Brown. He’s recently released three solo singles, and is currently gearing up to release his debut full length. We talk about growing up in St. Louis and his start in a rap group called AOSTL. He breaks down his move to Baltimore and his entry into Baltimore’s noise and dance music scenes. We discuss his recent releases, and the music he has on the horizon. He also schools me on the difference between Baltimore, Jersey and Philly club music. This week, Mike Riley hooked us up with an homage to Audio Two’s What More Can I Say. It all went down at The Lineup Room. Posted on January 4, 2015 June 30, 2015 by height keech	Bookmark the permalink.